What is this crazy new frenzy that everyone is talking about? Well, if you haven’t been bitten by the Pinterest bug, you will. I had no idea what it was all about, but several months ago, I was invited to join, spent a few minutes on the help section, and the rest is history. It’s very addictive and lots of fun. If you’re an organizing nut like I am, you will love it. Many years ago, I began cataloging pictures of kitchens, baths and anything else I thought would be a good visual tool for my clients. As we all know, most clients are not visual. Having a binder for each design style was a huge time saver. By showing the client pictures, I learned more about what the client had in mind for the design, finishes and details. I ripped apart hundreds of magazines always updating & adding to my collection of Binders. It sure was easier to grab a binder Tuscan kitchens instead of carting 12 magazines with sticky notes to her home. Pinterest is the same concept but 100 times more efficient. Your boards are like bulletin boards or binders. Each time you find a picture that you would like to save, you “pin” it to the appropriate board. You have no choice but to be organized. 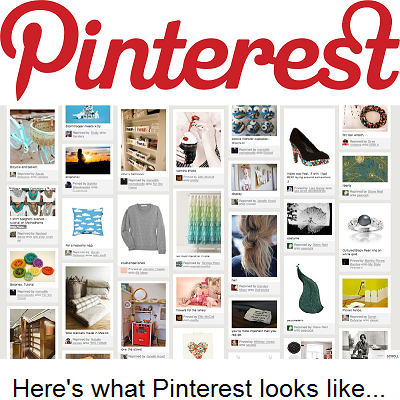 I read that Pinterest is very popular for the 18 – 35 yr old female, but, as you know, designers, builders and architects are very visual, so Pinterest has become very popular with “us”, no matter the age or gender. 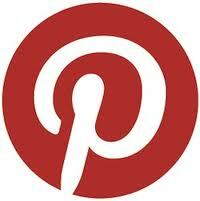 The beauty of Pinterest is that once you start pinning, other people will repin your pins to their board. You are notified by email when this happens so you then have an opportunity to see their boards and repin what they have to your boards. Sounds like a game of “Old Maid” in a way. I have repinned some interesting designs from people in England, Australia and states across our country. You can also have recipe boards, travel boards, craft boards, etc. The possibilities are limitless.